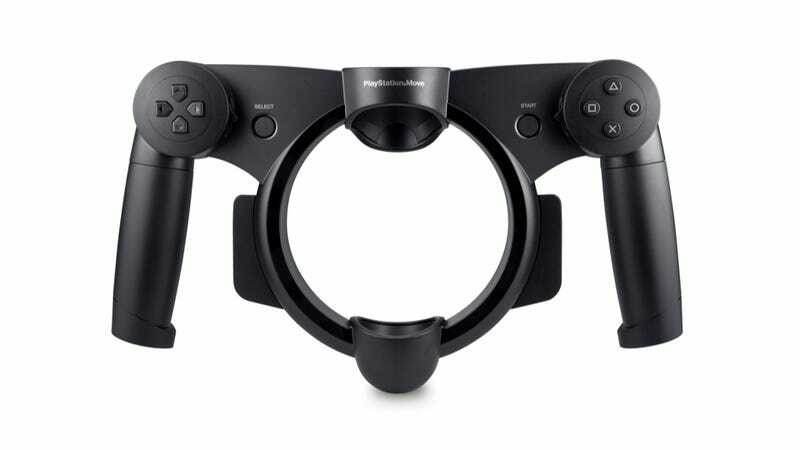 Revealed at E3, the PlayStation Move Racing Wheel can turn your Move into a car steering wheel, a motorcycle handle, or what looks like a medieval torture device. According to Sony, the wheel has force feedback, racing car style paddle shifters, and motorcycle twist throttle controls. It's priced at US$39.99 and out this fall. The wheel is almost identical to images supplied in a patent we covered recently, which led Owen to say "What the Hell is This Thing Sony Just Patented?" Time to Play "What the Hell is This Thing Sony Just Patented?"